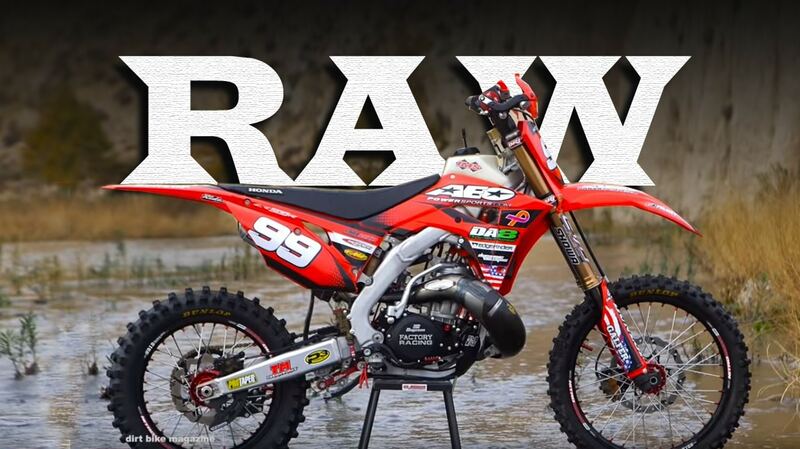 Last summer, the guys at AEO Powersports built the most incredible CR500AF that we have yet seen. They started with the latest chassis from Honda, straight from an 2017 CRF450R four-stroke. Then the motor was swapped out for a classic CR500R two-stroke powerplant. For more details on the build, check out Two-stroke Tuesday by clicking here. This is simply the raw video, no talking heads, just the sweet sound of a big two-stroke. For the original video on the AEO Powersports CR500 with more info, click here.